Hi all! I can’t believe it’s 2018! It’s been a great year! 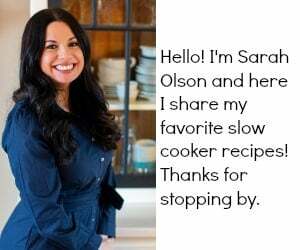 I’ve had a wonderful time sending you new recipes and can’t wait for another great year of cooking. 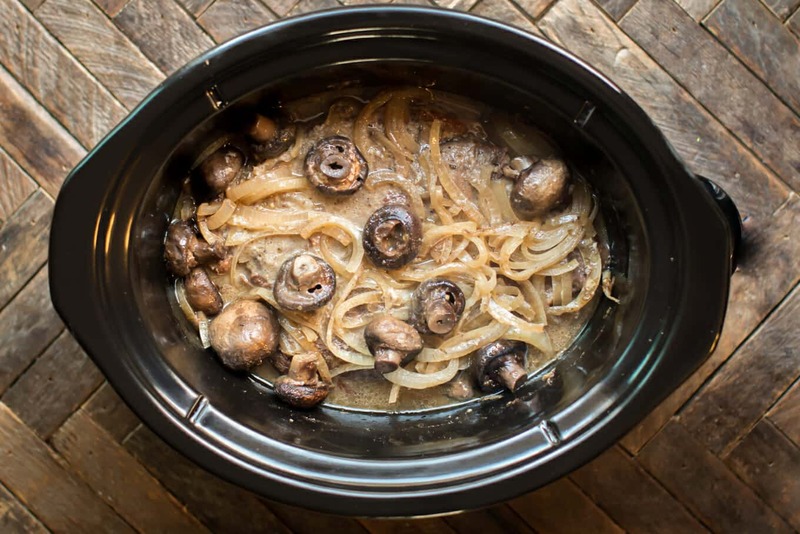 Today I have this wonderful Slow Cooker Horseradish Pot Roast. Not all people LOVE horseradish, and some are afraid to try. Trying horseradish isn’t scary at all! It’s similar to wasabi, actually horseradish is often used to make wasabi. The horseradish in this recipe isn’t overpowering, just a great lingering flavor in this meal. I made this roast a few month ago, it turned out great but it need a bit of work. My first test of this recipe was with just a roast and a touch of horseradish. 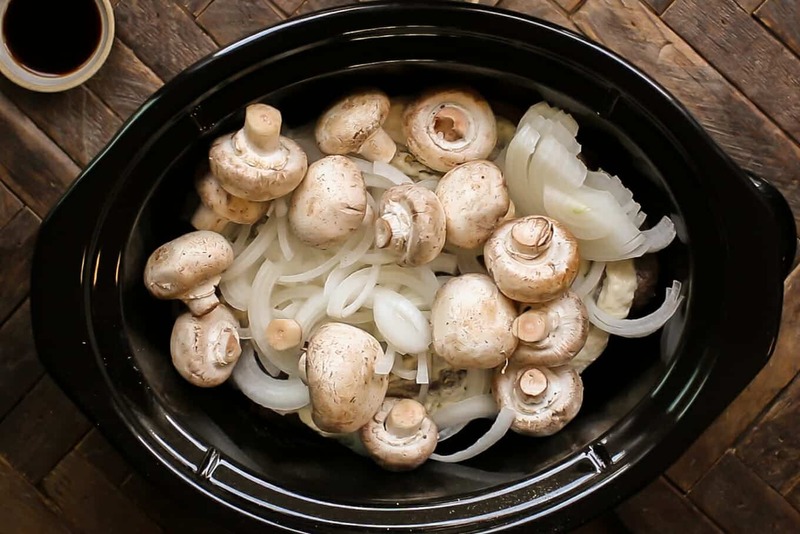 This round included a whole 4 ounce jar of horseradish, Worcestershire sauce, whole mushrooms and sliced onions. I think recipes get better the more I make them, I start with my base recipe and keep adding things to make the recipe even greater. It’s like adding a bit more love each time. I made a homemade gravy out of the drippings. There are 2 ways to do this, you can use a recipe using flour, like this one. Or cheat completely and use the drippings in place of water in a gravy packet or two. 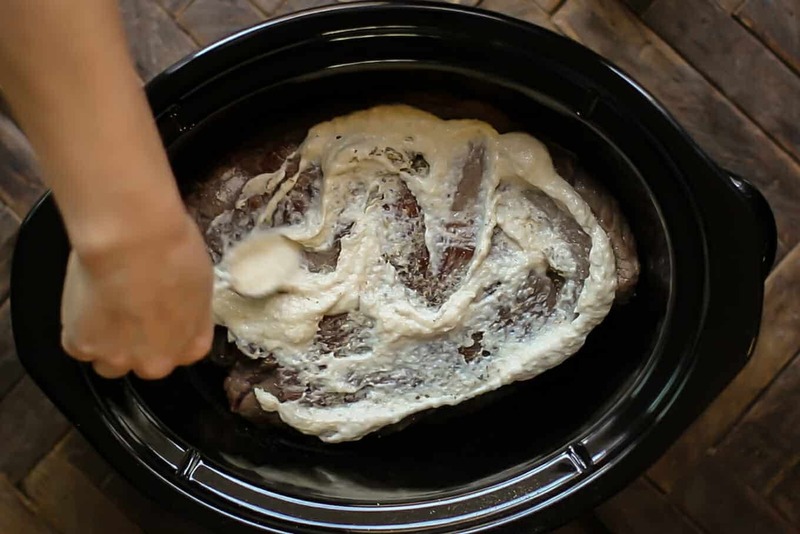 Here the video on how to make this Slow Cooker Horseradish Pot Roast. You can follow me on YouTube, here. I hope your year is off to a good start. I tossed and turned in bed the last two nights thinking of what I can do better this year, and after waking up today and thinking more about it, I’m pretty happy with the way I am now! I’m going to enjoy this year just like the last and not beat myself up. 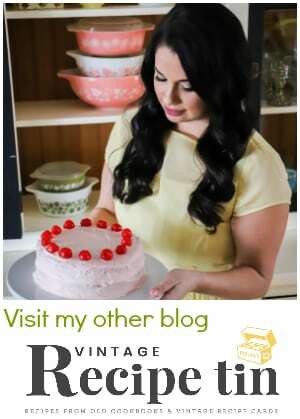 Enjoy this recipe and I will be busy making more! 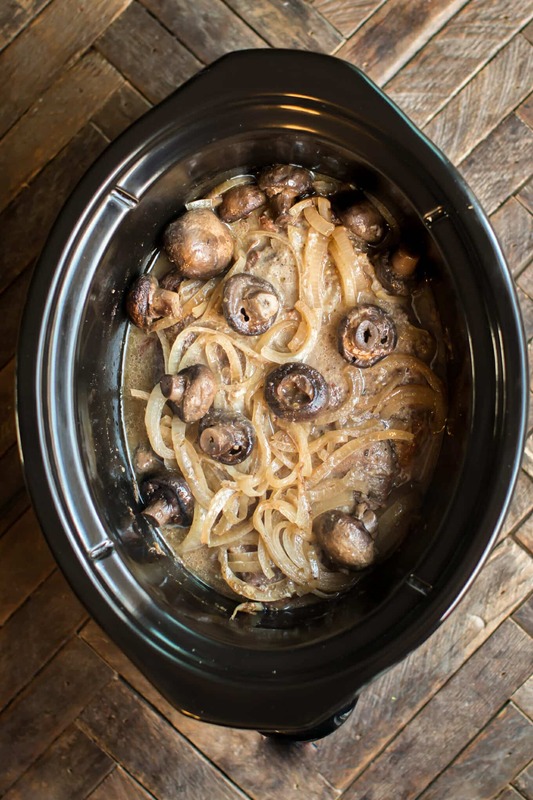 Slow cooker chuck roast with horseradish, onions and mushrooms. In a large skillet set to medium high heat, add the oil and swirl the pan so it covers the bottom. Brown the roast on all sides. Transfer the roast to the slow cooker. Sprinkle the salt, pepper and oregano over the roast. Spread over the horseradish. Add the onion, mushrooms, Worcestershire sauce and beef broth. Cover and cook on LOW for 9-10 hours without opening the lid during the cooking time. If desired make gravy out of drippings, you can do that by following a recipe using flour and the drippings OR you can use the drippings in place of water in a gravy packet or two. Nutrition Values are approximate and are not 100% accurate. Please use your own calculations if you require a special diet. 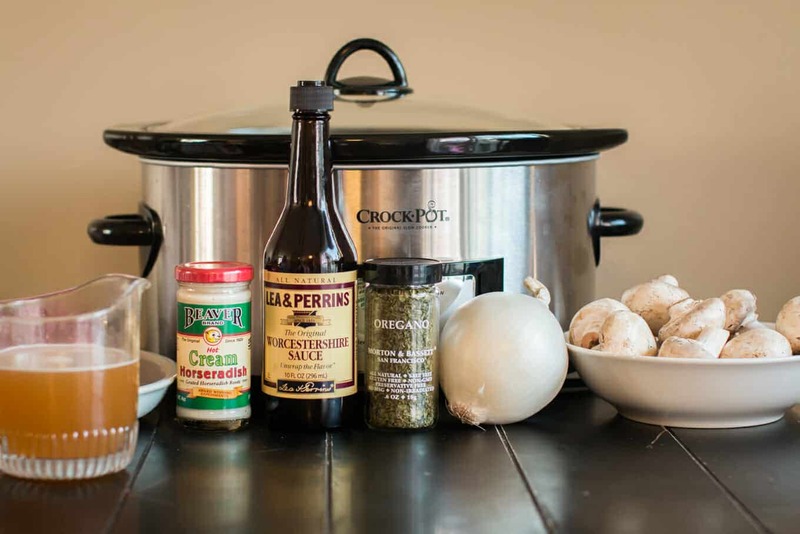 Can’t hardly wait to make this Slow Cooker Horseradish Pot Roast. My mouth watered the whole time I read this. 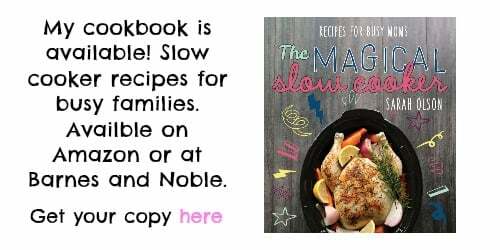 I have this in the crockpot right now. I’m so nervous! After looking at two stores, I could only find “prepared horseradish” so I hope it turns out! Watching the video made my mouth water! I would love to hear how this worked out with the prepared horseradish as that is what I normally buy. The guys in my house LOVE horseradish so I am anxious to give this a go. It was okay. Not my favorite, but not inedible. We couldn’t taste horseradish at all. However, I do have to say that I added a ton more mushrooms than what the recipe called for because I LOVE mushrooms. So, the extra mushrooms may have taken away from the horseradish flavoring? I will definitely be on the lookout for the correct horseradish and next time, will add only the stated amount of mushrooms. 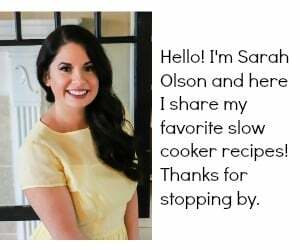 Sarah’s recipes have always been a hit for me, so, I’m sure it was those things that made it a bit less than spectacular. 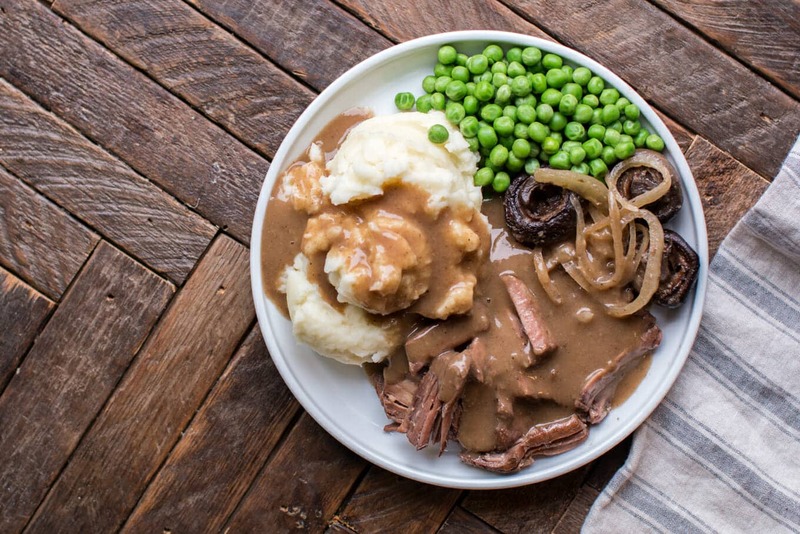 Does this Slow Cooker Horseradish Pot Roast come out in one piece so it can be sliced or does it come out in pieces? Thanks. It comes out in pieces. Looks great, I love horseradish. How about adding a little red wine? I think a little red wine would be great, could skip the beef broth then. Anyone know how to do this in the Instapot? I do not myself, maybe someone else can help. I would think you could fine another roast recipe and follow the times on it and it should do fine. Just made this in the IP tonight. It was excellent!! Here’s what I did to make it in the IP. Mine is an 8qt. 1. Generously salt and pepper the roast and then, personal preference, let it air-dry in the frig for about 3 -4 hours. I made other changes but they were just personal or what I had on hand. I would recommend increasing the horseradish, doubling the Worcestershire and adding some Tabasco to the horseradish. It had an excellent flavor and just the tiniest hint of heat. Great tips Martin, thank you! Thank you for checking out the recipe on the IP. Did you use same amount of cream horseradish with added plain horseradish? Does the roast absolutely have to be browned on all sides? My stove is broken and being replaced Friday, so I’m hoping it will taste the same if I don’t brown. I think it will be fine without browning! This looks great! Any other ideas for a veggie I can add besides mushrooms? Not a fan of them personally. Thanks in advance! I am not a fan of mushrooms. And that’s being nice. LOL. I always put carrots in with my roasts. I put the carrots on the bottom and put the roast on top. Don’t have horseradish cream, could I use a horseradish cream recipe (sour cream, prepared horseradish, chives, onion powder, lemon juice). Also, have rolled sirloin roast, could I put horseradish cream inside? I’m unsure how the sour cream would do all day in the slow cooker, it may be ok. I don’t think the jarred cream actually has any dairy in it. Is it possible for you to check the brand you used and see if there is dairy in it? I looked for the Beaver brand you used. it is not available in our store. Could I mix the horseradish with mayo? or would that curdle too? I was able to find a creamy horseradish sauce today. Robert Rothschild 10.6 oz. at Whole Foods. Question…if I have a rolled roast, should I spread inside for more flavor and then re-roll? If we want a stronger horseradish favor, could we add more just plain horseradish? Looking forward to making this. Will let you know how it turns out. Can it be frozen after its cooked? 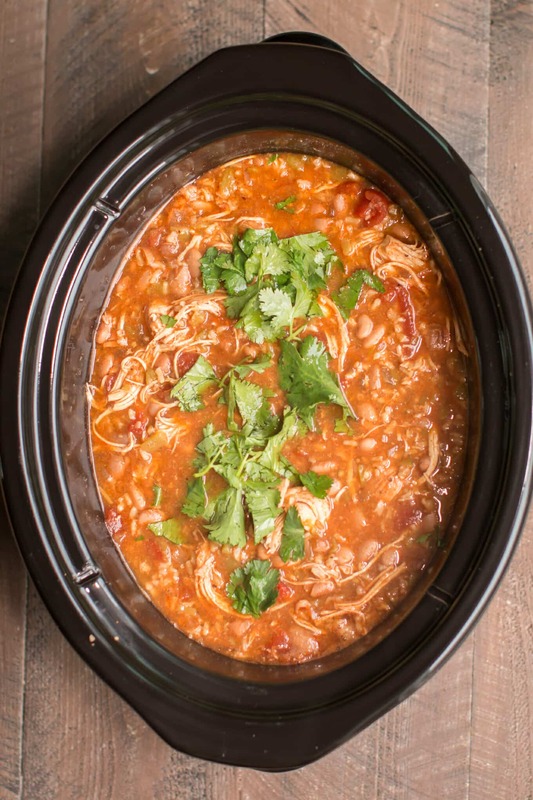 Can this be cooked on high in the slow cooker? Yes, I would think about 6 on high. I don’t have luck with less time with roasts.